Posted on November 8, 2017 at 9:20 am. A Tasmanian distiller by the name of John Hyslop has created a Willy Wonka version of the mighty whisky. 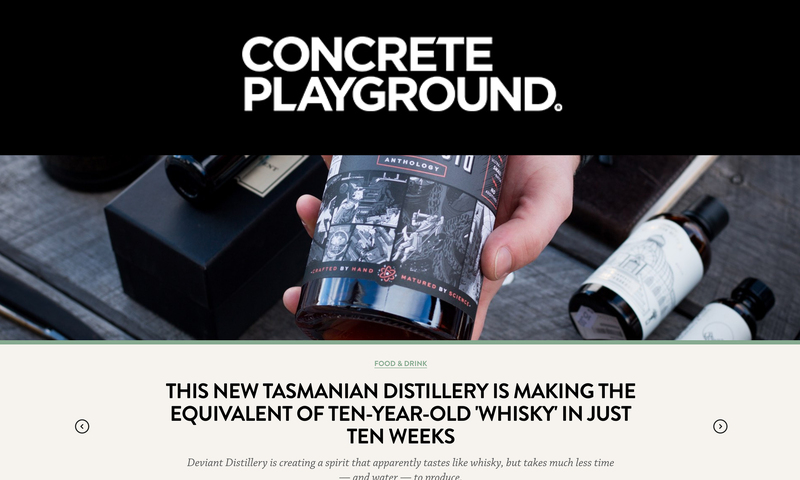 The newly established Deviant Distillery has just released Anthology, a drop they claim tastes like a ten-year-old spirit, yet was made in just ten weeks. Hyslop achieved this wonder by studying what happens when you place whisky in a barrel for a decade. Then he created an environment in which this process was accelerated by manipulating physical elements governing oxidation, esterification and evaporation. The only catch is that, legally, the resulting product cannot be called whisky. It’s hand-distilled in a copper pot still with the usual four ingredients — barley, water, yeast and oak — and without any additives, but the lack of conventional ageing process means that only the label “single malt spirit” can apply.